LOS ANGELES (CN) – Ending months of discussions with lawmakers itching to spend California’s swelling surplus, Gov. Jerry Brown on Wednesday signed a $138 billion state budget that fills the state’s rainy-day fund and boosts funding for education and homelessness programs. The budget assumes a $9 billion surplus, a stark contrast from the $27 billion deficit Brown inherited when he took office over seven years ago. It also plans for future recessions by stocking the state’s rainy-day fund to an unprecedented $13.8 billion. 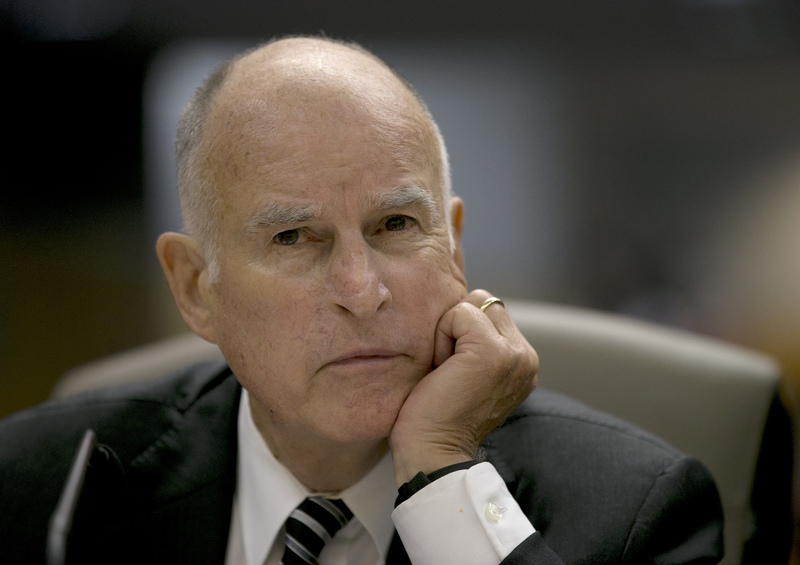 California has enjoyed an extended period of financial growth during Brown’s final two terms. The rosy economic stretch has not only boosted California to the world’s fifth largest economy, it has allowed the state to reinvest in education. The 2018-19 budget directs $78.4 billion to lower education, a 66 percent increase in annual funding from seven years ago. It also includes funding increases for higher education and averts a proposed last-minute tuition hike at the state’s university system. Brown and lawmakers also agreed to spend $4 billion in one-time spending on homelessness, mental health as well as assorted infrastructure projects. The package includes $500 million to fund local government homelessness programs and $450 million toward local mental health programs. “This has been a really collaborative effort between the governor and the two bodies of the Legislature, and I think it’s a great way for this governor to go out,” said Democratic Assemblyman Phil Ting, chair of the Assembly budget committee. Critics have blasted the Legislature’s recent use of trailer bills, accusing politicians of circumventing the typical legislative process. The bills receive less scrutiny and are rushed into law without much public debate. The governor did not answer questions from reporters after signing the largest budget in California history. The final plan includes $201.4 billion in total spending, up from $190.3 billion in the January introduction. Brown’s final budget calls for an increase of $1 billion for preschool and child care programs through state and federal matching funds. It provides a one-time $167 million grant to increase early education programs in low-income areas. Doctors and dentists that participate in the state’s Medi-Cal system will also get a raise. The plan earmarks $2 billion for higher reimbursement rates and student loan forgiveness programs. The capitol building is in line for a major facelift, as the spending plan includes $630 million for a new annex and related projects. Meanwhile over $330 million will be divvied between agencies like the Department of Water Resources, the judicial branch and University of California for flood control and deferred maintenance costs. Thanks to a contentious 2017 tax increase known as the “gas tax,” the final budget includes $4.6 billion in new transportation funding. Most of the funds, $2.8 billion, will go toward neighborhood roads, state highways and bridges. Over $700 million is dedicated to rail and public transportation improvements. Come November, voters decide whether to repeal the gas tax, which lawmakers say will raise a total of $55 billion for transportation projects over the next decade. Brown has promised to fight the statewide repeal initiative. The final budget also commits $1.4 billion toward climate change programs, including $210 million for fire prevention efforts in the state’s drought-riddled forests and $334 million to boost sales of zero-emission vehicles and related rebates. Brown, 80, said the on-time budget is a reflection of the state’s diversity and flexibility. “There’s no place that has a more progressive, thoughtful, sensitive understanding of how to cope with modern problems,” Brown concluded. ← Give Them Their Raises!